STUNNING & IMMACULATE 4 BR 2 ba,2 STORY HOME (w elevator/phone 2017 & 3 yr back up battery). THE EXPANSIVE LIVING AREA BOASTS RICH WOOD LAMINATE FLOORING THAT FLOW THROUGHOUT THE ENTRY, OFFICE, & FORMAL DINING ROOM ADJOINING THE CHEFS KITCHEN W SS APPLIANCES, GRANITE COUNTERS, TILED BACKSPLASH SURELY A PLEASURE TO ENTERTAIN GUESTS. SPACIOUS MASTER SUITE CARPET REPLACED 2018, DOUBLE CLOSETS W 1 WALKIN, MASTER BATH FEATURES GARDEN TUB, WALKIN SHOWER & HIS/HER VANITIES. DEN/4TH BEDROOM IS ON THE MAIN FLOOR ADJACENT TO GUEST BATH & LAUNDRY ROOM. LIVING RM,MASTER,DINING & DEN ALL HAVE PRIVATE BALCONIES! ON GROUND FLOOR LIVING YOU WILL FIND AN OVERSIZED GATHERING RM PERFECT FOR INLAW ACCOMMODATIONS OR TEENAGERS NEEDING THEIR PRIVACY & A 3RD BATH THAT CAN BE USED FOR THE POOL BATH! BUILT IN 2007 & FEATURING HURRICANE IMPACT WINDOWS, DUAL ZONE HVAC, ELEVATOR, FRESHLY PAINTED INTERIOR, HIGH CEILINGS, & DOUBLE GATED FENCE. OFF THE LIVING RM IS AN ENCLOSED BALCONY OVERLOOKING YOUR PRIVATE TROPICAL OASIS, SALT WATER POOL W OUTDOOR GRANITE FIREPLACE (NEW INTERIOR BURNER & GLASS STONE) LOCATION, LOCATION,HOME IS MINUTES TO FRED HOWARD PK,TARPON SPRINGS HIGH SCHOOL, MIDDLE & ELEMENTARY SCHOOL. ALL THIS & MORE, TUCKED AWAY ON A QUIET CUL DE SAC & ONLY MINUTES TO WORLD FAMOUS TARPON SPRINGS SPONGE DOCKS. 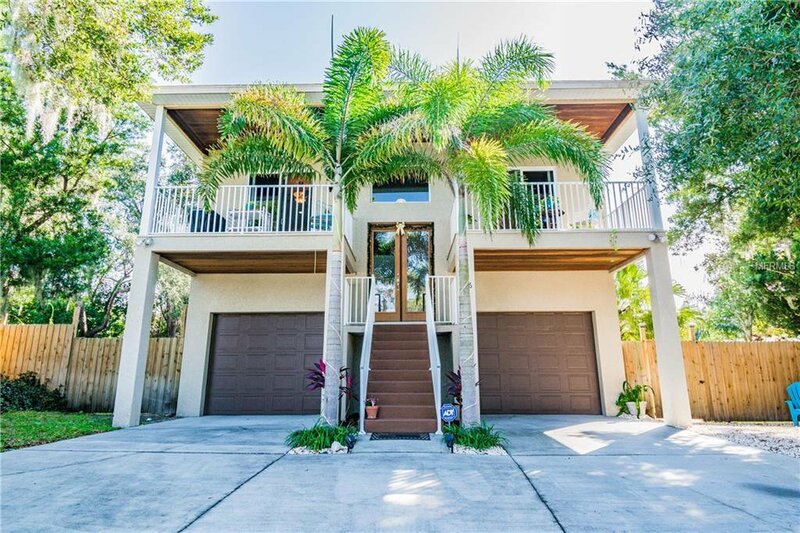 SHORT COMMUTE TO TAMPA & MUCH MORE-MAKE YOUR APPOINTMENT TO SEE!4th BR den needs closet) Seller can provide 2/2016 wind mit and 4 point, survey, elevation cert, current homeowner flood insurance is only $500 per year. Listing courtesy of RE/MAX BAY TO BAY. Selling Office: CHARLES RUTENBERG REALTY INC.